Okay so I am a skin whore. But definitely a shoe whore. * . :: deeR ::. 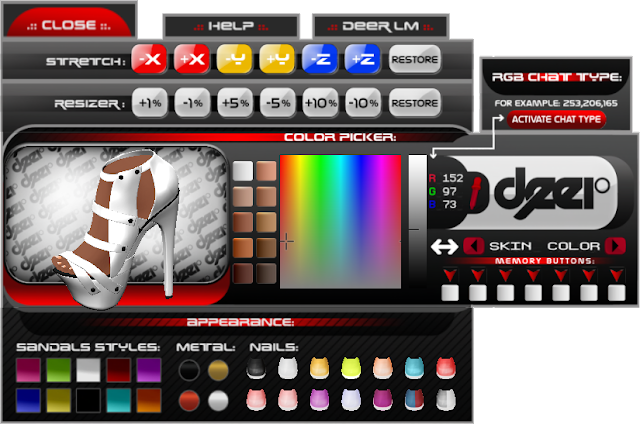 * named "aqua moxie sandals" which is HUD controlled with over 10 shoe colors, 4 stud colors and many many nail colors. * . :: deeR ::. * MAINSTORE!